Looking for simple, effective and natural weight loss remedies? Weight loss is one of the biggest industries in the United States and many first world cities. Take a look around, and there are literally countless numbers of weight loss diets, programs, pills, patches, creams, and supplements on the market. Then there are slimming centers, before-and-after pictures, and many celebrity endorsements. And, as any frustrated dieter or angry fat loss nutrition expert can tell you, most of these products are not worth the packaging they come in, nor are they as effective as the hype they come with. Lets be realistic, frank and face facts. Our weight situation depends almost entirely on two main factors  our diet and our level of activity. These, therefore, must form core components of any attempts to reduce weight naturally. It is true that genetic disposition also has a part to play  that is true for all health conditions. But obesity is largely a modern phenomenon. Why? Because we eat junk food, eat too much of it, and we hardly move our bodies anymore. Do you know anyone who eats healthy who becomes obese? Do you know anyone who is an exercise enthusiast who is overweight? Is obesity a problem in rural societies, where they do not eat the processed junk foods which we eat? On the other hand, take a typical overweight person and then take a look at his or her dietary and lifestyle habits. Are there a lot of empty calories, sugar, soft drinks, fast food and other junk foods? Do wild animals which eat their natural diets become overweight? No, only domesticated pets which are overfed and move too little become fat. These realities should already give us a very clear idea on what is the best natural weight loss remedy. The problem in our instant world today is that people are expecting to change nothing, pop a few pills, perhaps a few herbal capsules, and be able to so-called lose weight naturally. Like all other areas of health, that is not going to happen. Like health in general, personal responsibility for change is important. The first essential component of natural weight loss remedies is nutrition. The fundamentals of fat loss nutrition are different from that of nutrition for building good health. There are some areas of overlap, such as the fact that for optimal bodily function, you must have the ideal nutrients. For this, nutritional superfoods are highly beneficial. For ideal fat loss to occur, the body needs to be healthy. But this is where the overlap ends. Fat loss nutrition involves many dynamics of calorie intake, metabolic flux, carbohydrates, protein, etc. Not all nutritional programs that are ideal for fat loss are ideal for health. However, you can have a nutritional program that provides for ideal fat loss, while still being much healthier than the average person's diet. A couple of authors who are recommended for fat loss nutrition are Dr. John Berardi, Will Brink, and Alan Aragon. Having said that, it is also my belief that, with a good understanding and application of proper nutrition, excess weight is much less likely to accumulate, and that which is already present will be slowly shed away. This is because, when we consume a good diet, our nutritional needs are more than met. When that occurs, our bodies are satisfied, we would feel less hungry less often, and we would thus be much less likely to overeat, nor will we crave rubbish junk foods which are nothing more than empty calories and harmful substances. As I have already mentioned, diet and nutrition forms a critical part of natural weight loss remedies. On the flip side, because most of us today are eating a lot of junk foods which are essentially empty calories, our bodies nutritional needs are not met. This causes continued hunger, as the body signals its request for the nutrients it needs. So we eat more, and more, and more, yet never feel satisfied. Thats why junk food is so severely addictive. Further, we also consume a lot of foods with high glycemic index values, meaning they convert to glucose in the bloodstream very quickly. As too much sugar in the blood harms us, thus, in reaction, our pancreas ramps up its insulin production to turn the excess sugar into other forms, for storage. This then causes a dearth of sugar in our bloodstream, and we feel intensely hungry again soon after eating. The result? We eat more, and more, and more, again. Even the best natural weight loss remedies are not going to work well, or not going to work at all, if we continue to gorge ourselves on junk foods and empty calories like potato chips, sugary snacks, soft drinks and fast food. The first world today is a paradox. It is filled with more overweight people than ever, yet most of these people are actually badly malnourished, in that their bodies are lacking the essential nutrients to keep them, not just alive, but healthy and filled with vitality. The other important component of natural weight loss remedies is exercise. The human body was made to move. And physical activity, needless to say, burns up energy which would otherwise be stored in the body as excess weight. To lose weight naturally, exercise is very important. Because weight loss is such a big industry, bad programs, bad advice, and bad facts are abundant resources for any person trying to lose weight. The best way to find an effective exercise program for weight loss is to find a competent author. A couple of authors who are recommended for fat loss exercise programs include Will Brink, Dr. John Berardi, and Tom Venuto. Any effective natural weight loss remedy which talks about how to lose weight naturally would not be complete without the basic fundamentals of nutrition and exercise. It all makes common sense, doesnt it? How else can we define natural weight loss? Are chemical drugs natural? For more information on natural remedies for weight loss, read about some natural herbs for weight loss. Do you have any experiences, knowledge and information on weight loss which would be useful to our other readers? These could include natural remedies and alternative treatments; lifestyle habits; herbs and herbal remedies; supplements; foods, diets and nutrition; as well as other related topics. 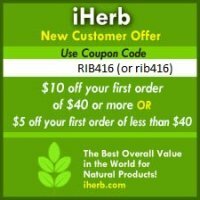 We invite you to share your natural health knowledge and experiences on weight loss here.